The Hasselblad 500 series began with the revolutionary 500C, one of the most iconic cameras in photographic history. 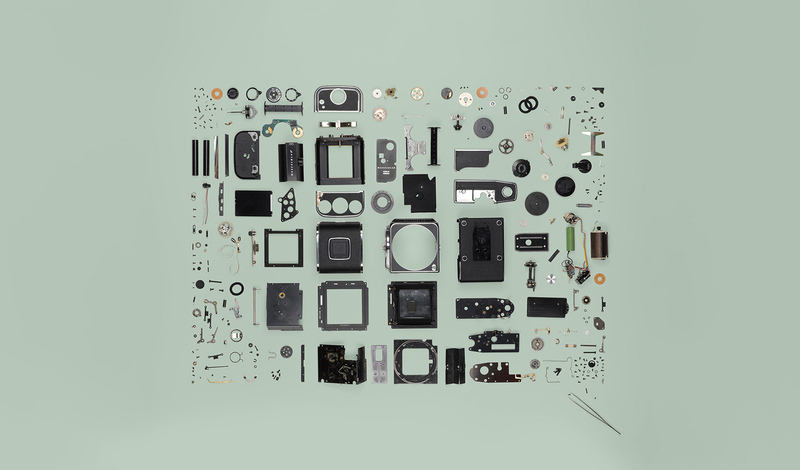 Modified throughout the years, the 500 series cameras represent the pinnacle of Victor Hasselblad's V System. With multiple prototypes in the works in 1953, the final Hasselblad 500C was launched in 1957. Replacing the previous design of a focal plane shutter from the 1000F, the 500C utilized a leaf shutter design with its range of high-quality Carl Zeiss lenses. The 500C was a marvel that still remains a classic in today’s modern age. Its leaf shutter design allowed for flash synchronization at all shutter speeds with the use of electronic flash. It could also focus at full aperture thanks to an automatic aperture stop-down. The build of the 500C was uncomplicated, and with the shutter in the lens instead of the camera body, this allowed for interchangeable lenses, film magazines, and viewfinders. Approximately 76,700 500C bodies were produced between 1957 to 1970. The 500C gained its true claim to fame after astronaut Walter Schirra took it with him on the Mercury rocket in 1962, becoming the first camera to properly document space. Throughout the later half of the 20th century, so much history has been captured by Hasselblad 500 cameras. The list of iconic Hasselblad images is endless, spanning from The Beatles crossing Abbey Road to the iconic portraits of Jimi Hendrix, The Rolling Stones, and multiple celebrities of the Hollywood golden age such as Audrey Hepburn, James Dean, and Elizabeth Taylor. The development of the 500C led to multiple versions with various modifications. The 500C/M, launched in 1970, was fitted with an interchangeable focusing screen, including a prism viewfinder with a built-in exposure meter. Introduced in 1988, the 503CX was a critical advancement of the 500C/M, equipped with both a built-in flash control (OTF metering) and a very bright focusing screen. Next came the 503CXi in 1994, followed by the 501C. In 1996 came the 503CW, which received a specially made electric winder. The 501CM (1997-2005) improved upon the 501C, using the new mirror design of the 503CW. The final 503CWD was coupled with a digital CFV back, as was made possible by the modular design of Hasselblad cameras. The camera came out in 2006, the 100th birthday commemoration of Victor Hasselblad. The 501C/M was produced in multiple colors. 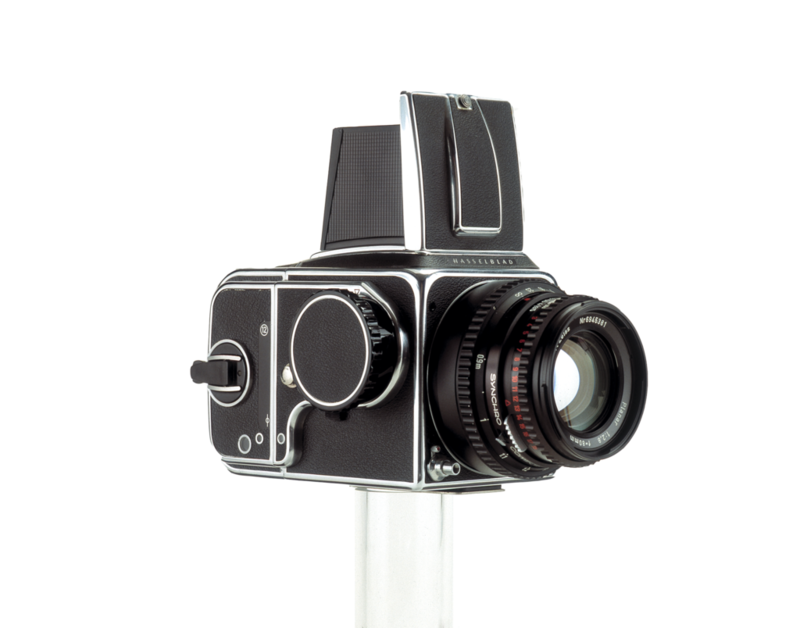 The new 500EL camera was launched in 1965 as a new design with an electric motor integrated into the camera body. Victor hoped to make a camera for bird photography that was radio-released, but many were not confident about this new design. In 1968, this was one of the camera models that was taken to the moon. The 500EL used accessories from the 500 series, but was much more than a motor attached to a 500C camera. The modified 500EL/M was introduced in 1971 with interchangeable focusing screens. The versions that followed were the 500ELX in 1984, the 553ELX in 1988, and 555ELD in 1998. A unique camera with dual formats.